It’s a rainy day here and very drab. I was thinking about how “ugly” it was outside today when I picked my attire this morning. I chose a bright (as in, don’t look directly at it for fear of blindness!) yellow jacket with a black and white striped skirt. Why not wear something bright on a rainy (or in some cases snowy) day? Bright colors are always so happy and eye catching yet many people shy away from them. 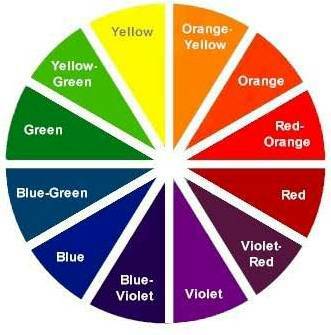 Here’s a little guide I use for choosing and wearing bright colors. As you become more comfortable, you can possibly add an accent color but when first adding color to your wardrobe, stick to simple. I see this very often, especially in summer. Someone is sporting one color from head to toe and to top it off, a beautiful necklace (and maybe earrings) of the same hue. Too much of a good thing is…uh… a bad thing. When you wear too much of one color (bright or not) it appears overwhelming and the outfit loses focus. Plus you can be identified as “the lady who wore that REALLY “insert bright color worn” outfit that day and caused everyone’s eyes to water”. No one wants to be that lady. This is an instant hit! No matter what the black and white pattern, you can typically wear it with ANY bright color and it looks great! Browns and denims can also be used this way as they are neutrals. Check out my look for today as I’ve used this rule and paired my yellow jacket with a black and white striped skirt! Ok…this is just my personal mantra but I do SO enjoy red lipstick. And it often pairs wonderfully with bright colors! Give it a try! Live life colorfully, my friends!